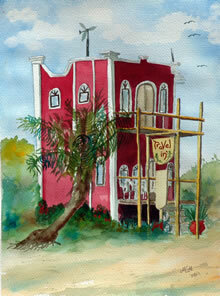 Our Hide Away is located in the tropical garden of Travel in’ restaurant on the Caribbean coast. 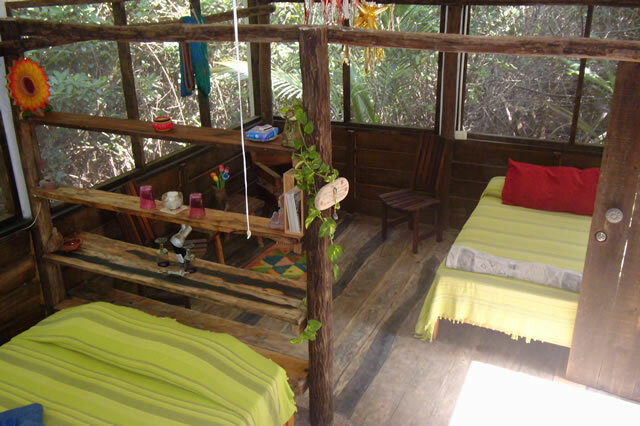 The Hide Away offers a private room with a double bed, a ceiling fan and a hand basin. You get the key to your private bathroom with (cold) shower only a few meters away. 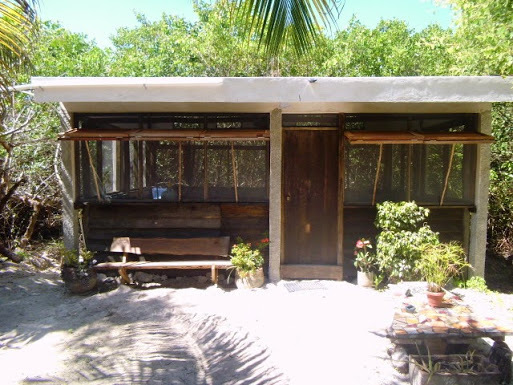 The Hide Away is fully screened in and offers a 360 degree view into, on one side the natural habitat of mangroves and on the other the full flower garden. Snorkel equipment and kayak available for guests free of charge. The price is 44 US a night. Very much recommended for nature lovers. Up to 2 extra guests can be added at 10 US each per night. If you’re the adventurous type, ask us about camping on the beach. We have amenities (showers, etc. ).